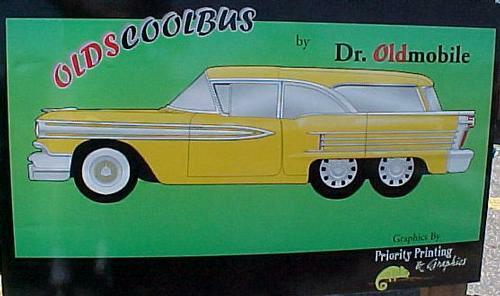 The art work for the OLDS COOLBUS. A twin engine 1958 Fiesta wagon built to showcase the performance bells and whistles that were available from Oldsmobile Division between the years of 1957 and 1970. The years of my youth when performance was king. Chassis on display at 16th annual Oldsmobile homecoming. The front engine is a 1957 Olds 371 ci. 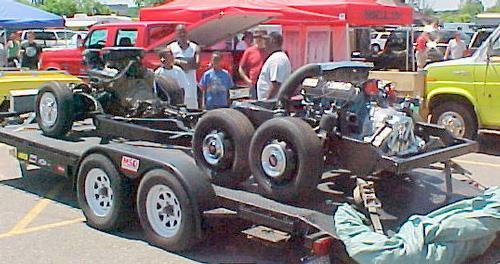 solid lifter J2 tri-power NASCAR version. It is coupled to an Olds 3 speed manual syncromesh selector shift transmission. The floor shifter is a vintage unit made by Fox Craft. The rear engine is a 1970 455 ci. from a Toronado. 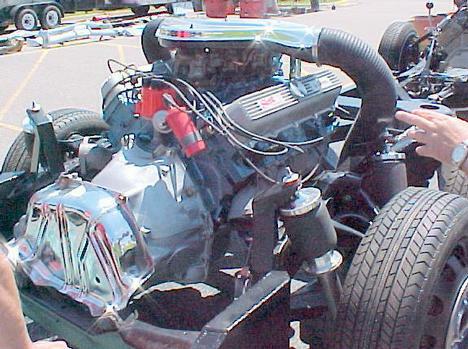 The intake manifold is documented as the only L69 tripower unit made by Oldsmobile in 1967. GM banned multiple carburation in 1967 for all production cars except the Corvette. 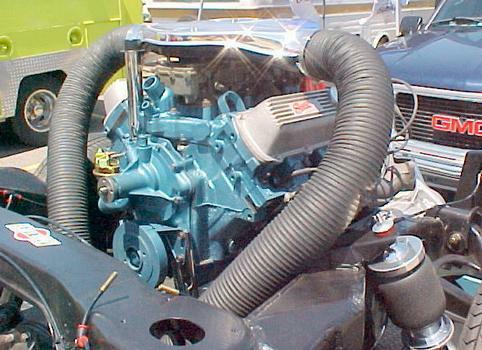 The chromed ram air shroud is an exact replica of the 1966 442 W30 shroud, only this one is made of carbon fiber. 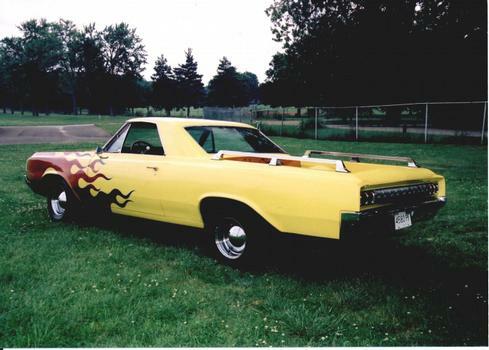 The valve covers are reproductions of the covers made by Sharp Engineering for the legendary 1966 "Hurst Hairy Olds" . All six wheels are suspended by air. This Fiesta station wagon, originally came with the New-Matic suspension option. This was new for 1958 and replaced the coil and leaf springs with air canisters. The Tribute uses modern air bags from Air Lift to replace the original canisters. The Toronado drive cradle uses air bladder shocks to replace the stock torsion bars. That bright pink Olds is a hotty! Love it. That is one of the coolest things I have ever seen. 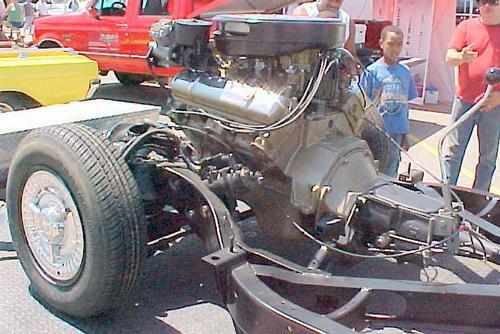 I bought a '67 Toronado many years ago with the idea of building a mid-engine car. Never got the project started and sold the car. I have great respect for you. Please post more pics when you can.